Writer, publisher, journalist and traveller. 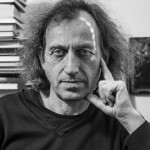 Head of the Association of Czech Booksellers and Publishers, owner of Práh publishing house. 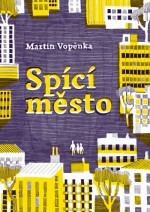 He won a Golden Ribbon award for best literature for youth in 2016 for Nová Planeta (New Planet) and was nominated in the same category in 2014 for the last part of his trilogy for young adults, Spící tajemství (Sleeping Secret). His books have been published in English, Polish, Russian, Arabic and Romanian. 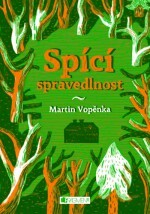 Martin Vopěnka was born on 8 September 1963. ‘The Fifth Dimension’ is a weighty and at times challenging read, its themes nothing less than life, death, the universe and love. It’s absorbing, haunting and intellectually engaging throughout, with a gut-punch denouement. He studied nuclear physics, but since the 1990s he has made his living as a publisher and writer. 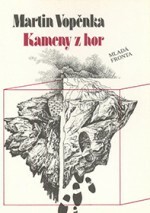 He made his literary debut in 1989 with the travel journal Kameny z hor (Rocks from the Mountains, Mladá fronta, 1989), in which he recorded the memories and emotions that emerged during a journey across the Romanian Carpathians. 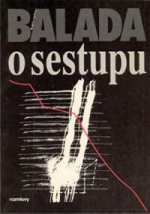 There then followed the similarly themed Balada o sestupu (Ballad of Descent, Rozmluvy, 1992), in which the psychological theme is also connected to reflections on the state of the world, and Hotel uprostřed života (The Hotel in the Middle of Life, NLN, 1999). 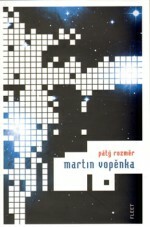 In 2001 Vopěnka was one of the first writers in the world to write a novel inspired by the rapid development of electronic communication, Laska po sms (Luv via sms, Práh, 1999), which is made up entirely of text messages. 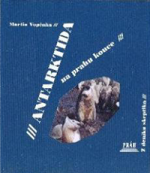 He returned to the theme of travelling in his book Antarktida na prahu konce (Antarctica on the Threshold of the End, Práh, 2000), in which he describes his time at the Eco-Nelson station in the Antarctic. “And never forget that the greatest enemy in your journey through life could be you yourself – if you don’t realize who you really are and why you came into this world. My dear, you were born late – even later than me – at the end of an age – at the threshold of the last millennium, for everything suggests that if humanity is to survive, it will be at the cost of being imprisoned in the technology which we have created, but which does not contain our soul,” the author writes. 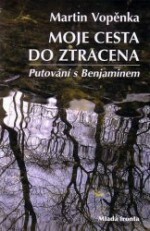 Moje cesta do ztracena (My Journey to Nowhere, Mladá fronta, 2005) is also a travelogue (in the sense of an external account of travelling along roads/non-roads, as well as in the sense of a journey through an internal landscape) in which a father and son head out into the world “Kerouac style”. 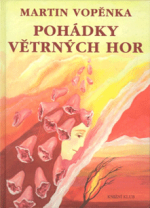 In the balladic novella Moře smutku za tvým psem (A Sea of Mourning for your Dog, Prostor, 2002) he examines human weaknesses, old scars in the soul, and whether and how it is possible to find the strength to come to terms with them. 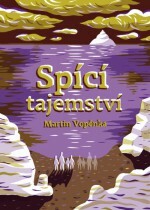 The next novel Pátý rozměr (The Fifth Dimension, Kniha Zlín, 2009) is based on a simple plot: a distinguished astrophysicist but unsuccessful businessman has been chosen as part of a scientific experiment to spend one year alone in the mountains with only one book. He chooses an essay called Black Holes and Warped Time, and while reading it he shifts from science to faith and experiences a kind of mystic rapture in the discovery of the fifth dimension. At the same time, however, he is forced to break the rules of the experiment. 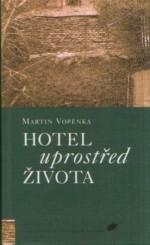 Vopěnka has also written an autobiographical book about his childhood and growing up under totalitarianism called Nebarevné vzpomínky (Colourless Memories, Práh, 2013). 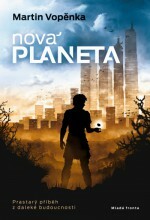 Vopěnka’s latest novel for adults is the dystopian Nová planeta (New Planet, Mladá fronta, 2015), an archetypal story of love and betrayal with a biblical subtext set in the distant future. “In the world of sci-fi we find lots of novels about a devastated Earth. However, Vopěnka’s is valuable because it raises questions. To what extent does a privileged group have the right to create a new world for itself at the expense of the lives of billions of people from the old one? And to what extent and when does this new world gradually change into tyranny in the name of preservation? To what extent and at what cost do we succumb to comfort at the expense of others? 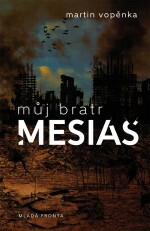 The answers can be very unpleasant,” wrote Alena Slezáková in a review for the MF Dnes newspaper.